I also find them fascinating because without researchers developing studies, the average pet owner wouldn’t find these things out on their own. They might have certain ideas or opinions about their dog’s behavior but without data and samples of many dogs it remains just a singular opinion. Personally I’ve only owned female dogs so I’ve never really paid much attention to how they squat. But those boys? If they’re low-riders they might be eliminating themselves in such a way that states “I’m NOT a Jack Russel, I’m a Great Dane! So you’d better watch out!” I’m not kidding. 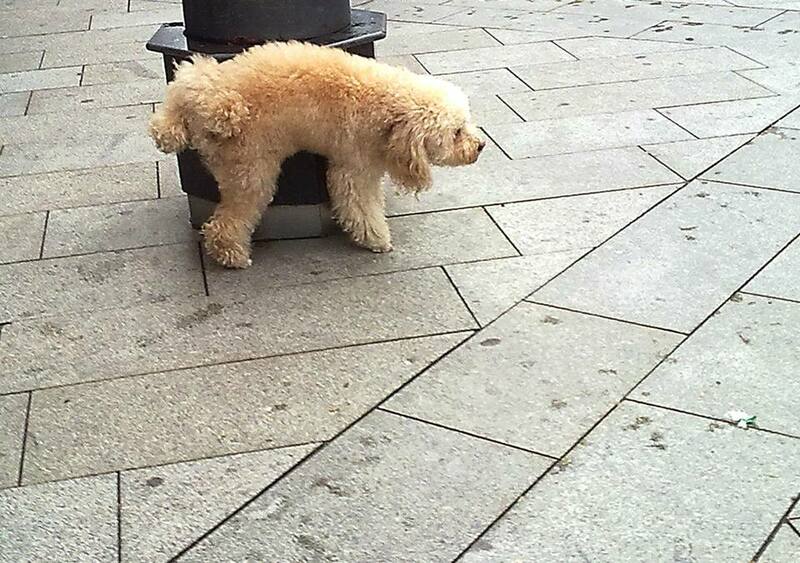 Behavioral ecologists and ethologists are weighing in on why small dogs might lift their legs higher when they pee. Are the dogs lying to other dogs, or is it simply the way they’re built? Read the article, and if you have a theory of your own feel free to share your opinion in our comments section! New airline rules haven’t stopped an increase in pets, including emotional-support animals. Lender threatens to take dog back after saying woman was only leasing him. Inside the very big, very controversial business of Dog Cloning. Dog DNA used to track down owners who don’t clean up after their pets. When the Dog Decides Where You Live. This startup says dog chow that’s good enough for humans to eat is the future of feeding your dog. Inquiring minds want to know: Why do dogs scratch the ground after they pee? Study: Dog owners take more pics of their pet than their spouse. How much does it actually cost to own a dog? Column: Summertime Is Puppy Time. Review: In ‘Dog Days,’ finding each other through canine fandom. Next, nobody knows the truffles they’ve seen.